I used a simple seamless dress pattern from Ravelry to start this. 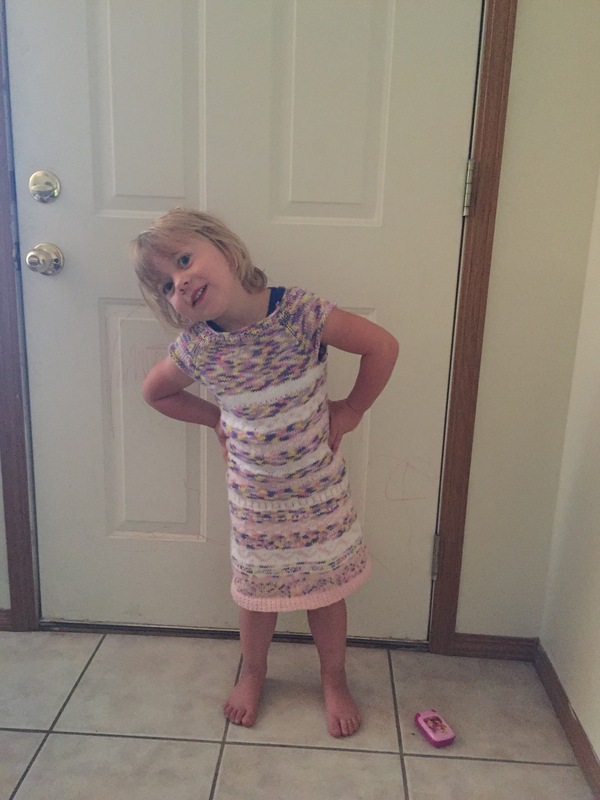 I made one of these dresses for my daughter when she was younger (smaller) and it got to the point where the dress went to her mid-thigh, which was a bit short for me. So I decided to make her another one, and hand the earlier one down to her sister. 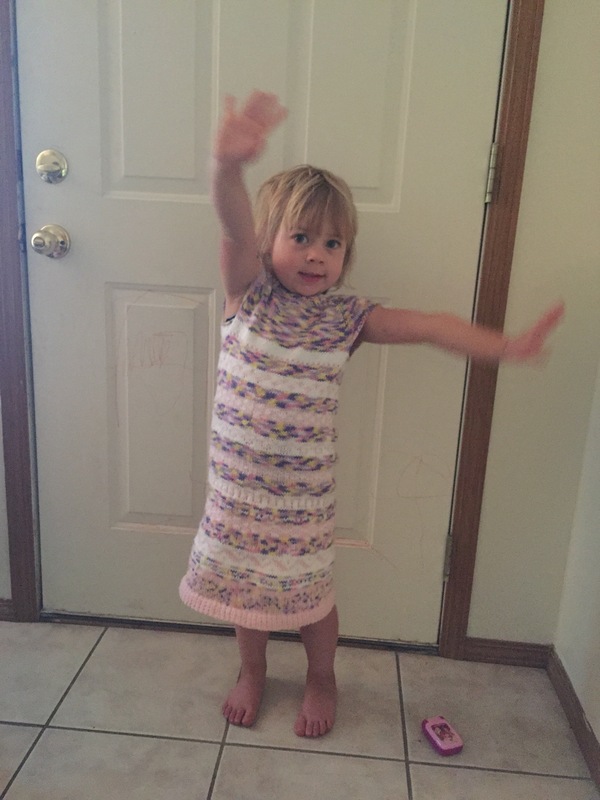 I cannot tell you how much they wear these dresses. I think they might possibly be their favorite piece of clothing. 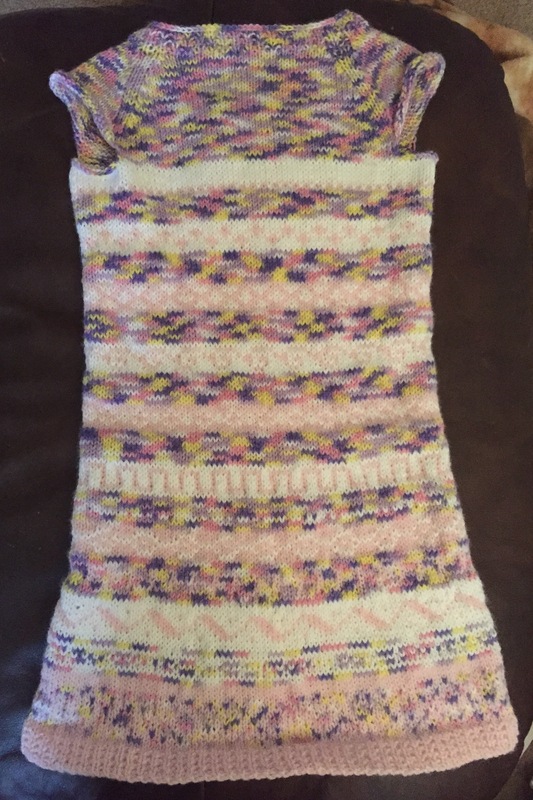 I used some fair isle peeries and stripes with variegated yarn. 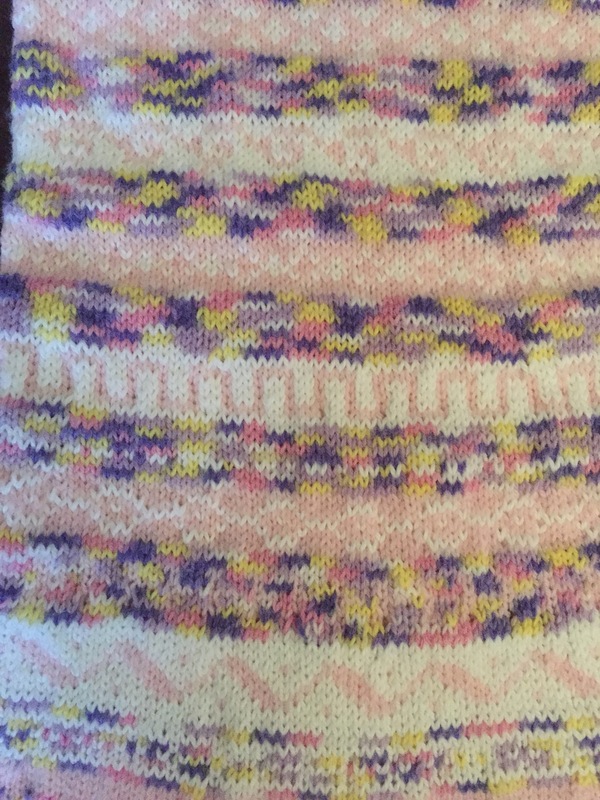 It was too hard to use the variegated yarn with the solid yarn for fair isle patterns because I couldn’t see the pattern when the two yarns were the same color. She had to lay her phone down on the ground to pose for the picture.